When I’m trying to regulate my carb intake, I find that sacrificing rice is much less of a problem than skipping starchy desserts. Losing my sense of self-control would thus translate into devouring chocolate cakes, Nutella crepes, chocolate ice cream-filled mochi, buchi (red bean sesame seed rice balls, preferably chocolate-filled), and my most unassuming carb-laden favorite: bread pudding. 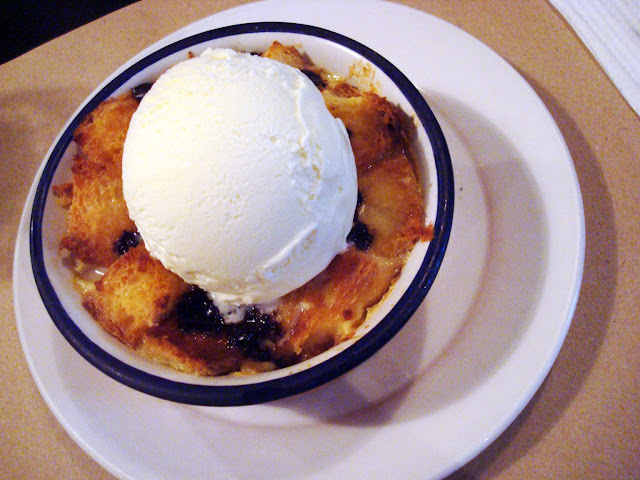 My first encounter with bread pudding was on a trip to Cebu. It was homemade and served so casually amid a flurry of conversations that the first bite took me by surprise. The moist, buttery consistency paired with what I remember to be a sweet, tangy and spiced vanilla sauce instantly made me melt. My friends were stunned that I hadn’t tried it before. I don’t bake (yet!) and perhaps I just hadn’t noticed it on dessert menus, as my eyes usually just scan them until they settle on something with chocolate. Since then, however, I would always be on the lookout for this humble but heavenly dessert. Whether it’s matched with a creamy sauce or some ice cream, every bite of bread pudding enfolds me in a blanket of comfort. I originally wanted to share my top three, but I had to squeeze in one more.